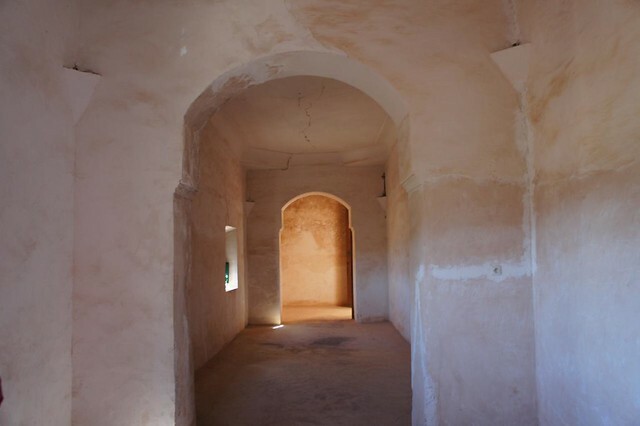 The important former trading route between Marrakech and the Sahara is dotted with crumbling kasbahs and mansions, homes of wealthy merchants and warlords, earning it the nickname 'valley of the kasbahs.' 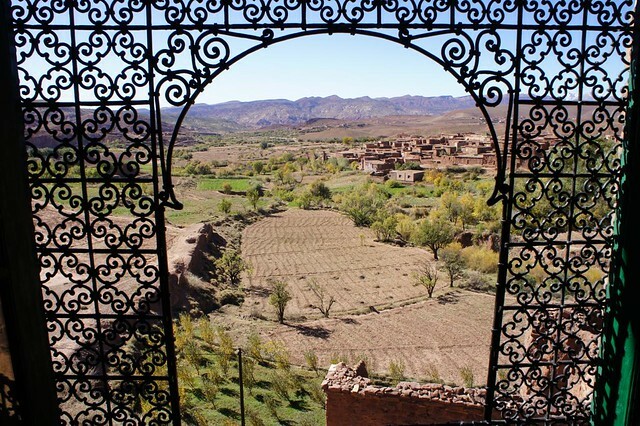 Kasbah Telouet is often over-looked, with most visitors to the area heading straight to Ait Benhaddou, the most famous kasbah of them all. 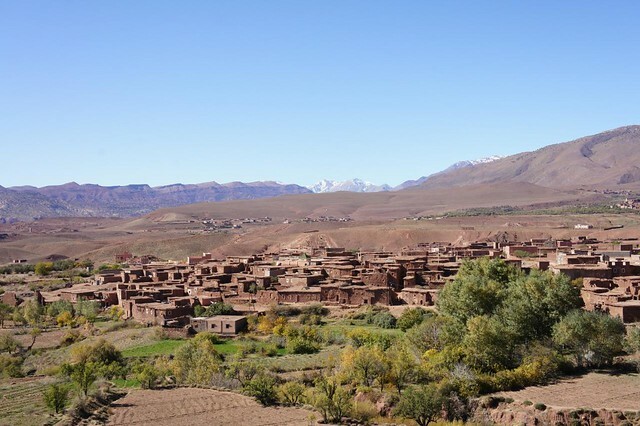 However, with its crumbling walls and stunning mosaics, Kasbah Telouet is more than worth a visit in its own right and can easily be combined with a visit to Ait Benhaddou, the Saharan dunes of Erg Chebbi, or as a day trip from Marrakech. 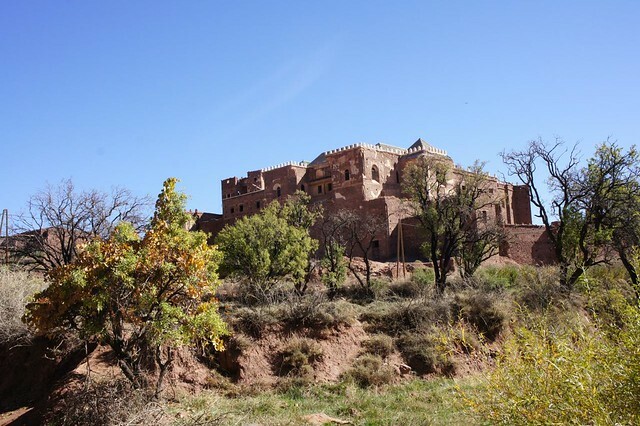 Built in the 1800's by the Glaoui family, the kasbah enjoyed a prosperous strategic position on the trans-Saharan trading route and close proximity to the area's salt mining industry. 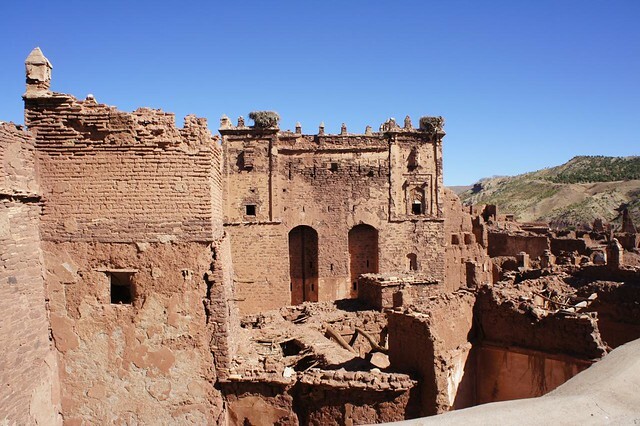 After Morocco's independence in 1953, the Glaoui family was evicted and the kasbah was left to ruin. In recent times, the kasbah has started to attract some low-level tourist interest and the town has some restaurants to support the visitors. Visitors catch their first glimpse of the kasbah as they drive into Telouet; an imposing building standing proud on top of a small hill. On closer inspection, the walls are crumbling and close to collapsing. The entrance to the building is no less dilapidated, with incomplete walls and rubble. As you walk through the corridor, it is unclear what makes the building so remarkable, with its bare, neglected walls. 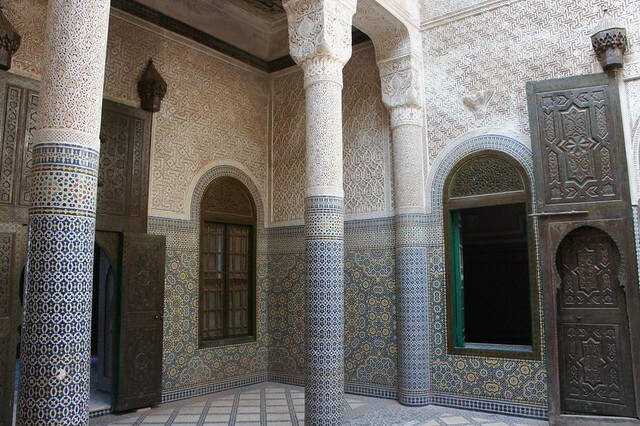 It is only when you reach the heart of the building that you can understand the significance and fallen wealth of the kasbah. 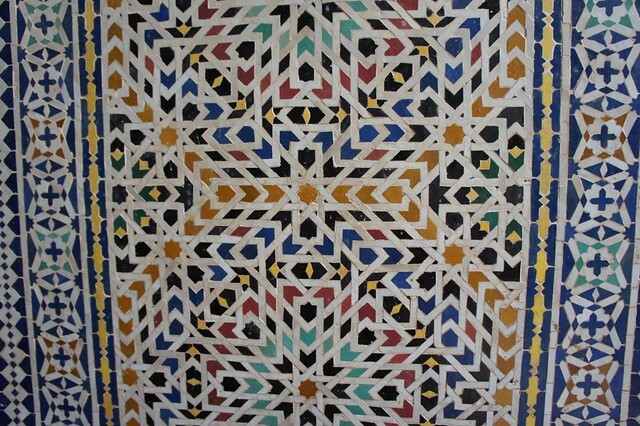 Stunning mosaics and intricate wood carvings adorn the walls, reminiscent of the Bahia Palace in Marrakech. The attention to detail is most incredible and the work and money spent on building it is unfathomable. After being astounded by the mosaics on the first floor, more treats await you, with far-reaching views of the valley and mountains beyond from the roof terrace. All in all, well worth the visit. Contact us if you would like to include this in your tailor-made itinerary.